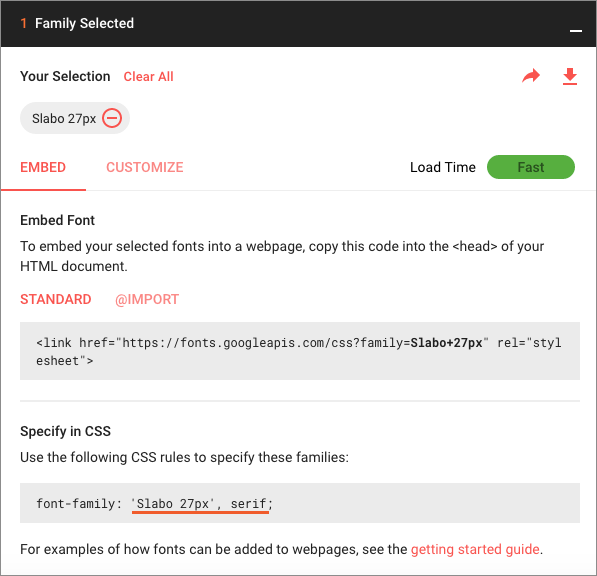 You can choose any Google font and add it to your campus using the Custom CSS/Less feature. It’s a little complicated, so we’ve laid out the required steps in as much detail as possible below. 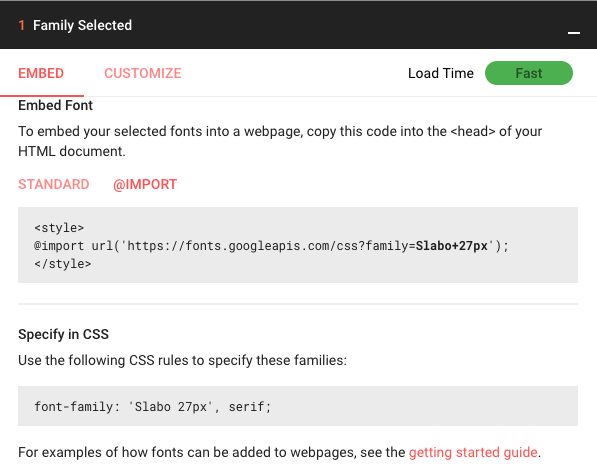 Step 1: Start by going to the Google Fonts page and finding the font you’d like to import. 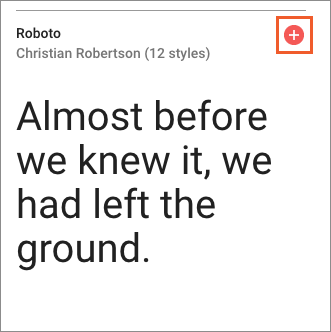 Once you’ve found the font you’d like to import, click on the red plus sign next to its name. Step 2: Now click on the ‘Family Selected’ box that appears at the bottom of your screen. Step 3: A box will pop up that tells us how to embed this specific font within our campus. 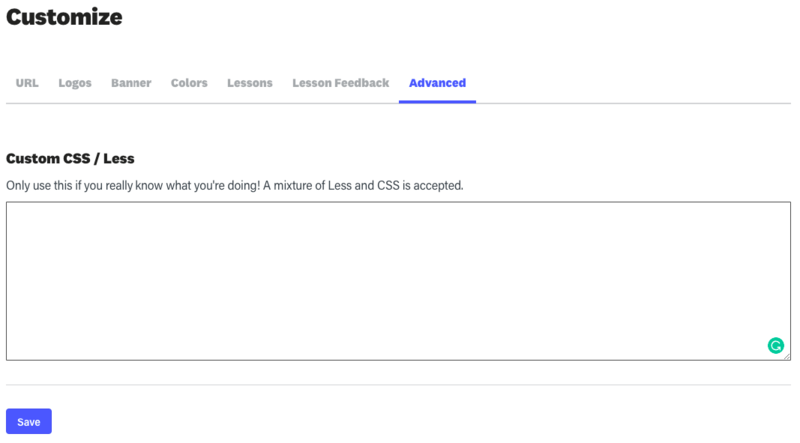 We’re interested in the information in the box titled ‘Specify in CSS’, shown below. 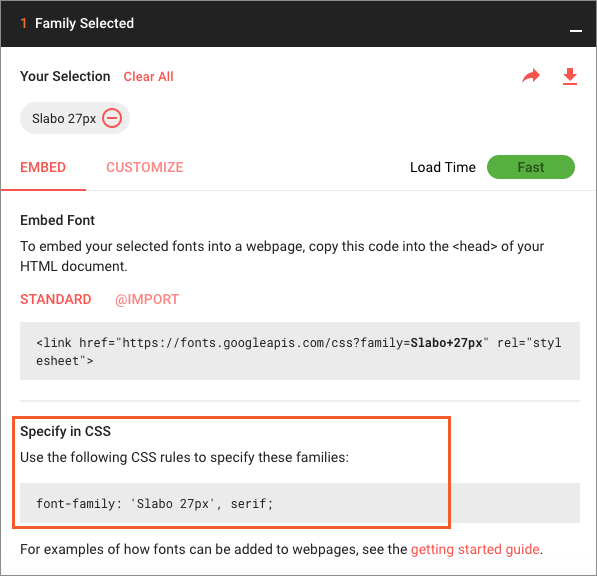 Now we need to import the rest of our Google Fonts information. To do this, copy all of your ‘font family’ information, highlighted below. Note: Make sure you only change the text shown, and do not include any extra spaces or letters, or your CSS output won’t work. Step 7: Click the ‘Save’ button at the bottom of screen to activate your changes. You’ll see the font on the page change as it is refreshed to your new Google font. This process can be repeated for any Google Font you need.